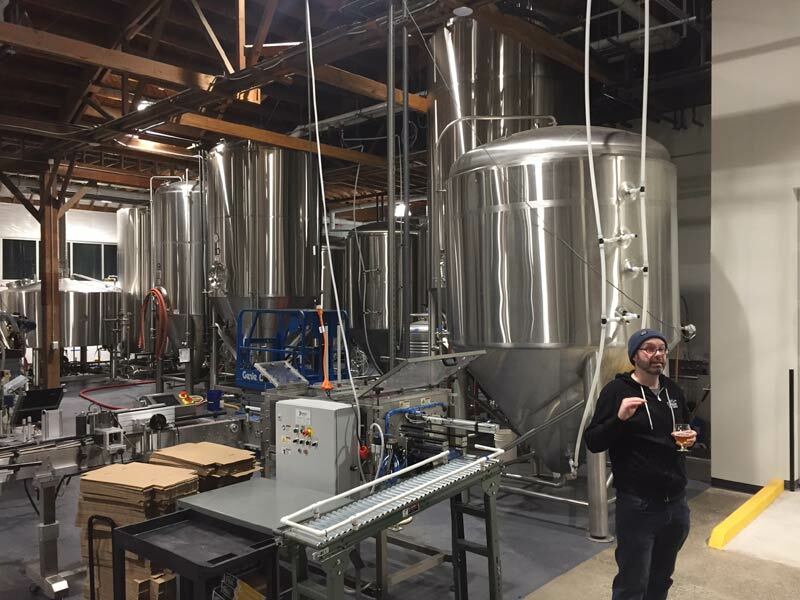 Updated 2/21/19 — The new Reuben’s Brews facility is up and running. They are producing and packaging beer, with the official opening of the new taproom (The Brewtap) scheduled for Saturday, March 2nd. We snuck in and got a peek at the new space. We share a few pictures below. 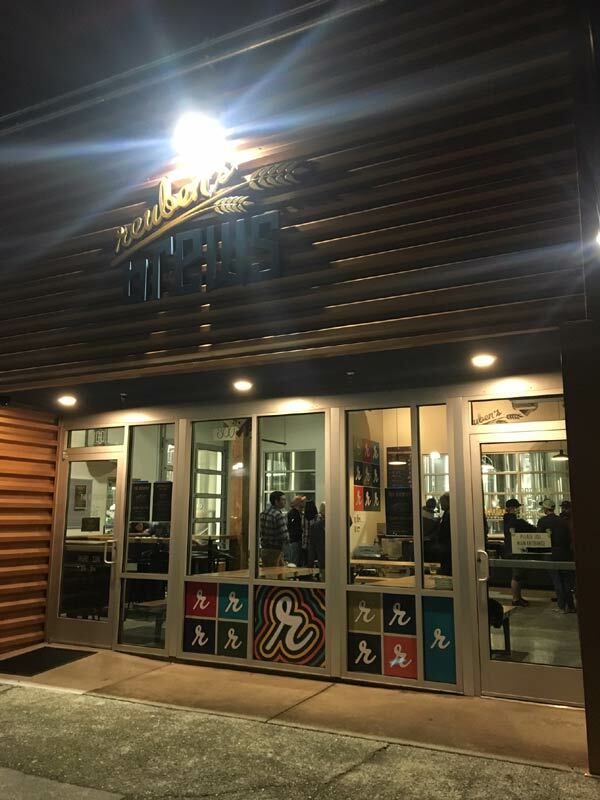 The new Reuben’s Brews brewery and adjoined taproom are located at the corner of 8th Avenue Northwest and Northwest 46th Street in Ballard (map), just a block away from the Fremont Brewing production facility. The 70-year-old building was lovingly restored, with an eye on taking advantage of some of the original architectural features, like the rough beams, barrel roof, and open joists. Whereas the existing taproom on 14th Avenue is open to the brewery, at the new facility the brewery is behind glass, but you still get that “drinking in the brewery” feel. The Brewtap will be all-ages, as you’d expect in Ballard. Note that this opening does not impact the existing brewery and taproom on 14th Ave, though some of the tanks have migrated to the new facility. That brewery will still produce beer and the taproom will stay open. The brand new 30-barrel, three vessel brewhouse was manufactured by Pinnacle Stainless in Portland, Oregon. From a brewer’s perspective, the new system offers a lot of bells and whistles that will help Reuben’s continue to innovate and grow. The tank farm is arranged to take advantage of the varying ceiling height. 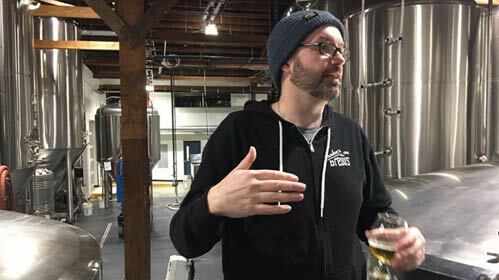 Above, Adam Robbings (co-owner of Reuben’s Brews) leads a tour of the new brewery. There are a number of advantages in opening the new location. To begin with, it’s a bigger system and will allow Reuben’s Brews to increase production to meet demand. The larger space allows the company to consolidate operations that were previously, painfully, spread out across three different buildings. Also, it further enables Reuben’s Brews to do what it does best: introduce new, innovated and exciting beers. 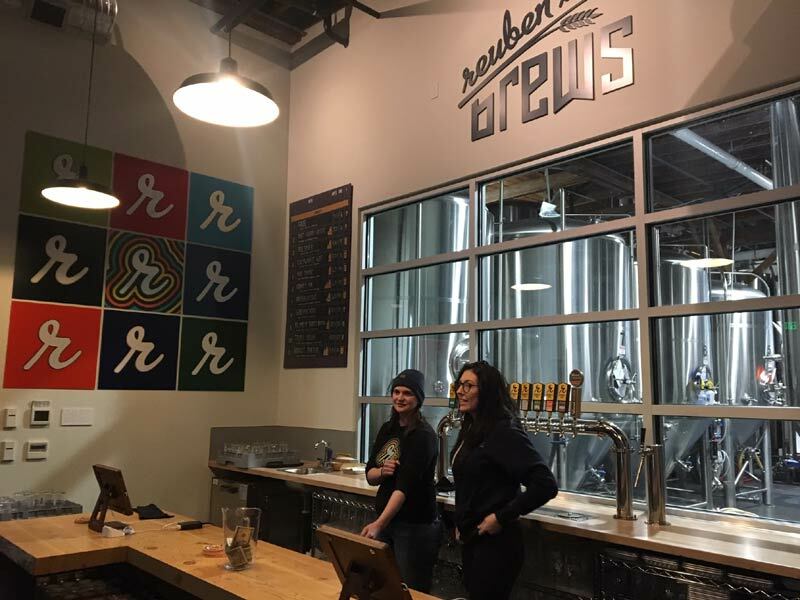 Original Post — It’s hardly a secret, but Reuben’s Brews has spent the last several months quietly working on a new brewery and taproom, which is located about a half mile east of the current brewery and taproom in Ballard. The new taproom, dubbed The Brewtap, opens on Saturday, March 2nd. Note that this is the same day as Washington Beer Open House, the statewide celebration of beer. 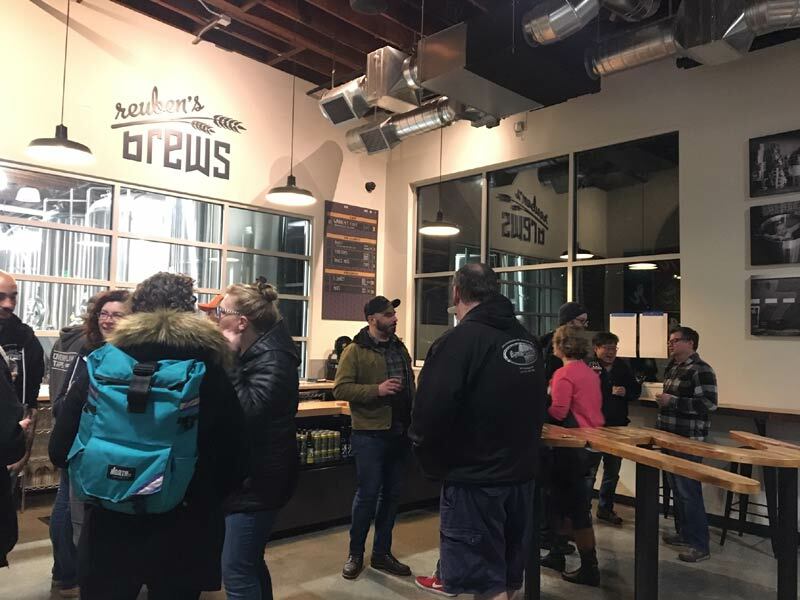 In addition to offering beer drinkers a second Reuben’s Brews taproom, this new location will serve, in large part, as a production facility intended to help streamline the production of some of the company’s more popular beers. Nothing is really changing over at the existing brewery and taproom, except that the brewery will now be able to lend more attention and time to creating new beers, one-off beers, wildly creative beers, seasonal beers, and other fun stuff. The current taproom will remain the home for release parties and other special events. You may have already noticed some changes at the existing taproom on 14th Avenue as equipment is getting shifted around, with some of it already relocated to the new facility. We will have a lot more details, like an exact address, as the date nears. Also, we will find a way to sneak in prior to the opening to take some pictures and tell you a bit more about what you can expect at The Brewtap. For now, just know that it’s near the corner of 46th and 8th. Note that during Washington Beer Open House, Reuben’s will offer tours at both facilities. At The Taproom tours begin at Noon, 1:00, 2:00 and 3:00. At The Brewtap, tours start at 4:00, 5:00, and 6:00. Each tour is limited to 20 guests, so sign up early.